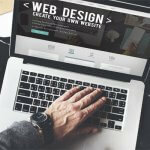 How Web Design Has Changed | Blog | The Devon SEO Co. When you’re looking for a website that truly represents your brand, The Devon SEO Co. has a wealth of web design experience. Give us a call on 01726 74161 or email hello@thedevonseoco.co.uk to find out how we can help you.